The Floral & Gift Department is filled with beautiful fresh flowers, green plants, and unique gift and decorating decor. filled with quality plants that are locally grown at Pinehurst. 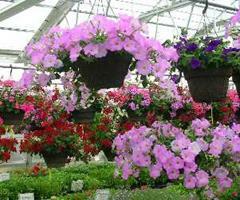 Beautiful hanging baskets and planters are our specialty. Our customers tell us the plants from Pinehurst surpass any others. 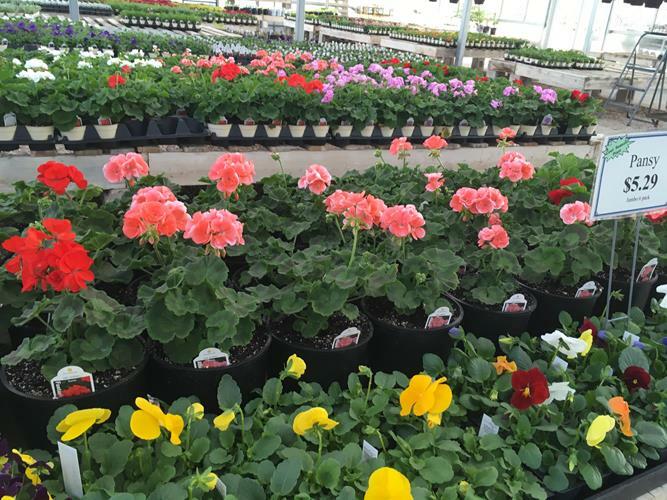 Our knowledgeable staff will be glad to assist you with all your questions on choosing the right plant for the right area. Container Gardening is made easy, whether you are growing beautiful flowers, vegetables, or a combination. 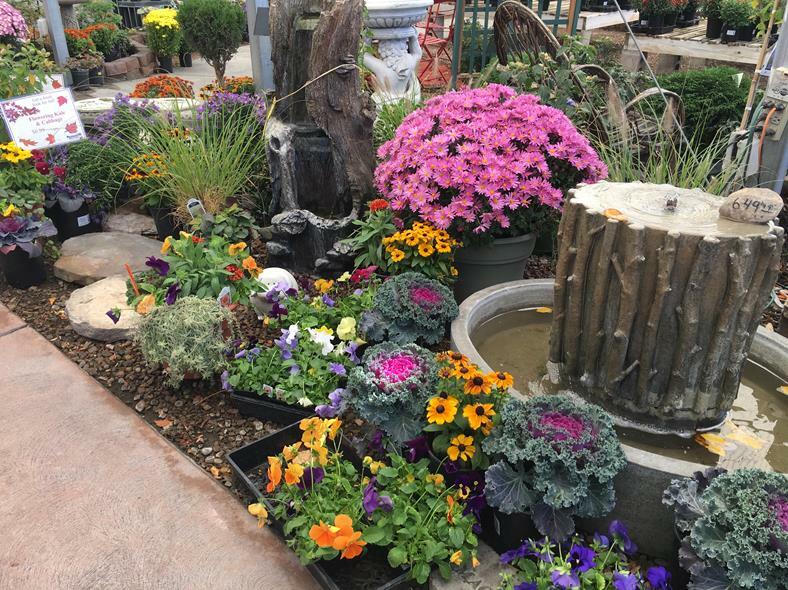 Our staff will help you choose plants for your planters from our huge selection of specialty annuals and vegetables that are bred for top performance in your outdoor living area. You can bring your own ideas, copy one of our many planters, or have a planter specialist help you with your choices. Custom planting is available for those who want to leave the work to us. The Vegetable Garden is not complete without a stop at Pinehurst. We have personally grown a great selection of vegetables in our greenhouses just for you. 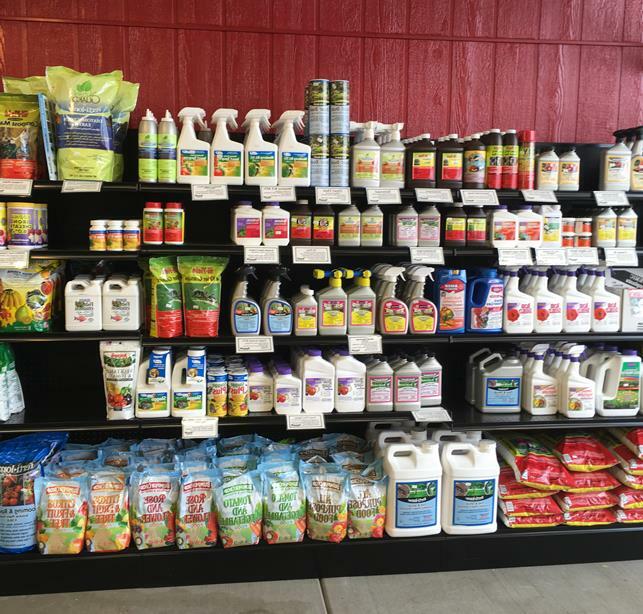 The Garden Center has all the seeds, fertilizers, and pest controls. If you have never grown a garden, don't worry, the staff at Pinehurst is here to answer all your questions and give you tips to make it easy and more rewarding. 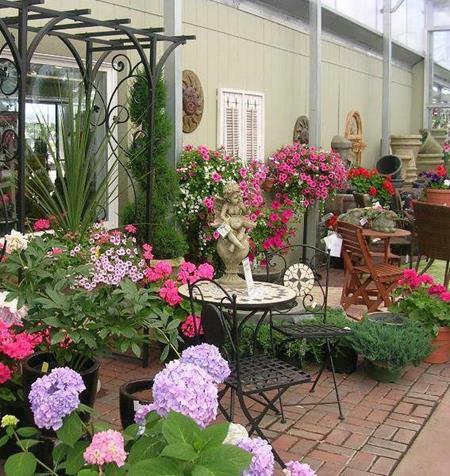 The Nursery is filled with a great selection of beautifully displayed hardy shade trees, evergreen trees, fruit trees, flowering shrubs, evergreen shrubs, shrub roses, and perennials that grow well in our area. Hardy hydrangeas are a specialty at Pinehurst. You'll find a great selection of roses. 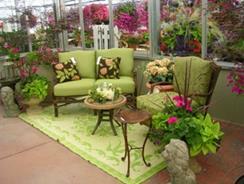 The Garden Center is the solution center for your gardening needs. 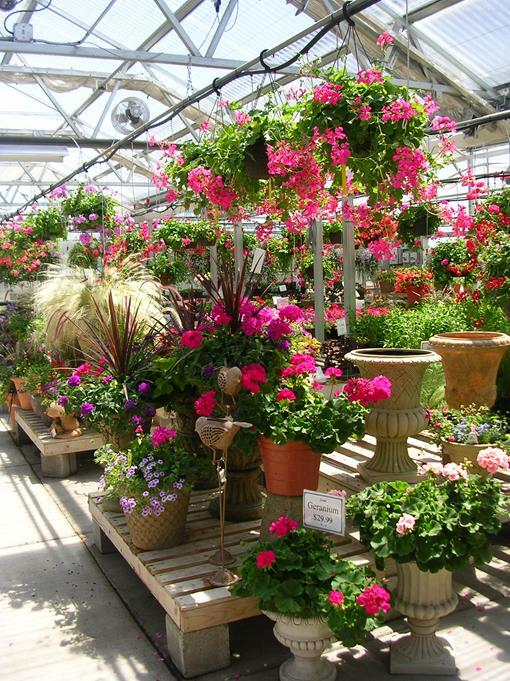 Our knowledgeable staff will be glad to assist you in making gardening fun and easy. Enhance your outdoor living area with fountains, furniture, and garden decor from our outdoor living selections. Are you tired of planting the wrong plant in the wrong area? In Home Consultation You can have a landscape designer come right to your home to assess your individual situation, answer all your gardening questions and give you landscape advice. The cost is $75 in the Pocatello/Chubbuck area for a one hour consultation. 30 Minute Consultation Schedule your 30 minute in store landscape consultation at Pinehurst. Bring pictures of your home and yard with dimensions and a landscape designer will set down with you and give advice to bring out the best in your home and help you make a plan of action. The cost is $45. We have a highly trained and knowledgeable staff who you will recognize year after year. We are dedicated to our customers and will go out of our way to ensure your floral and gardening experience is a great one.